A friend sent me a link to this incredible free download. It’s not actually sounds from mobile phones but is a collection of raw, incredible, bluesy African music. 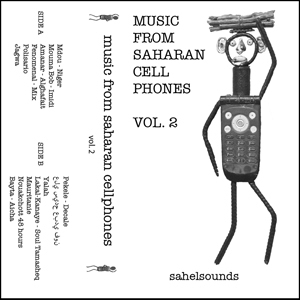 Music from Saharan cell phones Vol 2 is from Mauritania and the music is collectively referred to as Jagwa east of Shinqit. All the mp3s were collected in the town of Kidal. I saw this available on vinyl in Rough Trade East in London yesterday. (24 January 2013).